Founded in 1909, Loyola Academy is a coeducational, private, Catholic, Jesuit college preparatory high school located on the North Shore of Chicago. 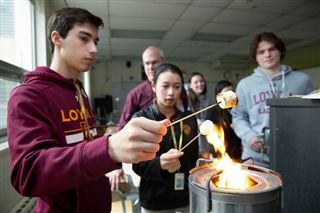 All of Loyola’s programs are college preparatory, with 98% of the graduating class enrolling in four-year institutions. We have 189 faculty members; 80% hold advanced degrees, including 4% with PhDs. 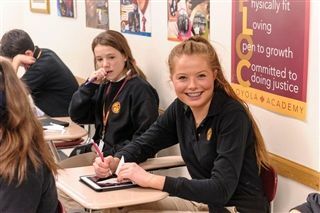 Loyola Academy is fully accredited by the Illinois State Board of Education and by AdvanceED. We are members of the Jesuit Secondary Education Association, the College Board and the National and Illinois Associations of College Admission Counseling. 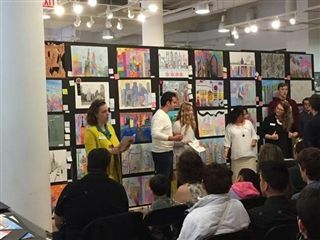 Yosan Worota ’19, Mitch Ganz ’20 and Katherine Beard ’20 will participate in the 38th annual Congressional Art Competition: An Artistic Discovery for Congresswoman Jan Schakowsky’s district. This is a nationwide art competition designed to showcase and reward the creative talents of America’s gifted young artists. Since this competition was created in 1982, hundreds of thousands of high school students have participated at the local level across the country. 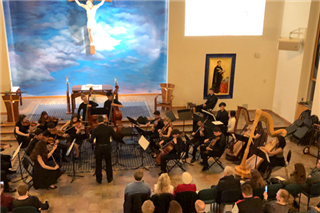 Loyola Academy’s Spring Orchestra Concert on Thursday, April 11, featured our symphony orchestra, beginning guitar, guitar ensemble, guitar chamber group and honors orchestra playing music by Green Day, Queen, Carlos Santana, Vivaldi and more! 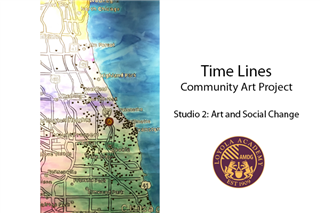 Time Lines is a community art project conducted by Studio 2: Art and Social Change Ignatian Service Learning students. 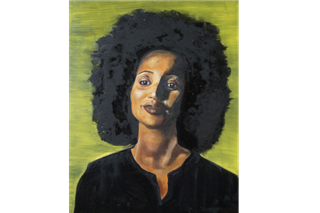 Inspired by the socially engaged artwork of Tonika Lewis Johnson, the student artists looked at what students all have in common at Loyola and decided to make a project around the commute of students coming to Loyola. 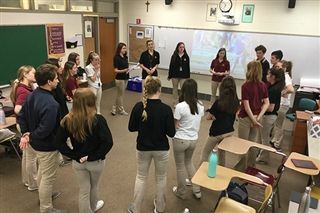 Representatives from Student to Student, an organization that fosters interreligious dialogue and understanding through student presentations, visited Loyola Academy World Religion classes this month. 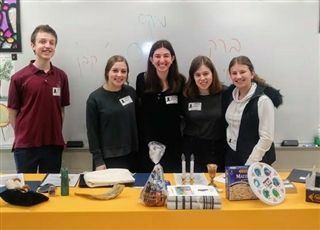 A team of Jewish students, representing various branches of Judaism, spoke to Ramblers about how Judaism shapes their identities, how they celebrate various holy days like Passover, and about Jewish history and contemporary Israel. This spring, Loyola Academy honored ten faculty members who have earned tenure status. The achievement of tenure is a milestone in an individual's career, and Loyola is proud to recognize members of our community who have embraced the desire to be women and men for others. 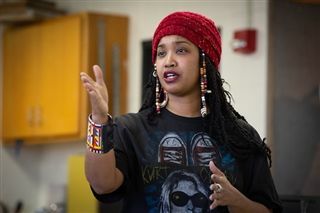 In February, Chicago-based artist and activist Tonika Lewis Johnson visited Loyola Academy to discuss the evolution and impact of her art on the Chicago community. Her most recent work, the Folded Map Project, connects residents who live at corresponding addresses on Chicago’s North and South Sides with one another and explores the social, racial and institutional conditions that segregate the city. Students from the Ignatian Service Learning Program’s Sociology, Justice Seminar and Studio 2: Art and Social Change classes were in attendance. 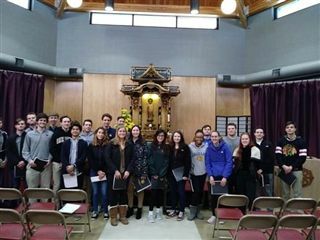 On Sunday, February 24, more than twenty Loyola Academy seniors went to the Zen Buddhist Temple of Chicago, located in the Roscoe Village neighborhood. 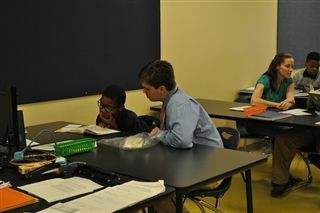 These students are studying World Religions as their second semester senior Theology elective. On Saturday, February 23, Carter Randolfi ’20, Ashley Lazar ’19, Raegan Robertson ’19, Luke Barter ’19, Quinn Nimesheim ’22, and Katherine Beard ’20 participated in the Glenview Art League Youth Fair at Attea School in Glenview. 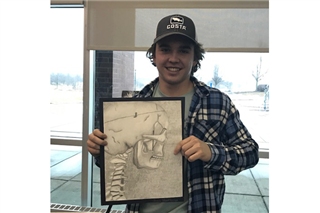 Quinn Nimesheim '22 received second place for the 9/10th grade division for his anatomical skeleton drawing. 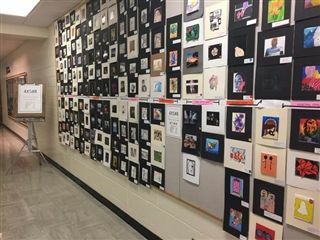 Every year the Illinois High School Art Exhibition (IHSAE) exhibits works from Illinois high school artists. Each participating school submits twenty slides of work, five of which are selected to be in the show. This year, works by Tory Gapp ’19, Katherine Beard ’20, Brendan Knapp ’19, Marykate Kennedy ’19 and Zion Martin-Hayes ’19 were selected. 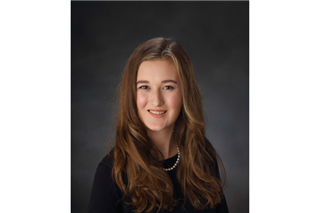 Congratulations to senior Emily Devyor, who was selected to represent Loyola Academy at the 2019 Illinois High School Theatre Festival All-State Show In the Heights. Emily will be participating as part of the costume crew. On Friday, November 9, the Honorable Amy St. Eve spoke to approximately 100 political science students in Loyola’s Marillac Room. Judge St. Eve discussed her work as a newly confirmed judge on the U.S. Court of Appeals for the Seventh Circuit, the role and function of the federal courts, the judicial confirmation process and more. 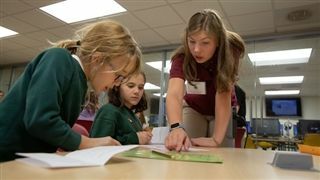 On Tuesday, November 13, Loyola Academy’s Women in STEM student club hosted its inaugural Girl Scout STEM Workshop for 26 Girl Scouts, ages six to eleven, from St. Joseph School in Wilmette. 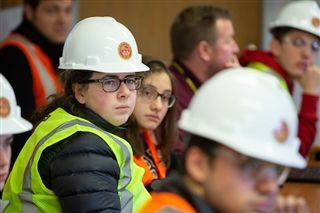 On Friday, November 16, AP Physics students visited Loyola's construction site to witness how engineers work. The building of the new pool provides a type of living laboratory for Ramblers to better understand concepts they are studying in class like design, force and torque. Katherine Beard ’20 recently received an honorable mention in the Chicagoland 4x5 High School Art Exhibition. Her work will be exhibited at both the Water Street Studio Gallery Opening on Friday, December 14, and the Illinois high School Art Exhibition (IHSAE) Opening and Awards Ceremony on Sunday, February 24. 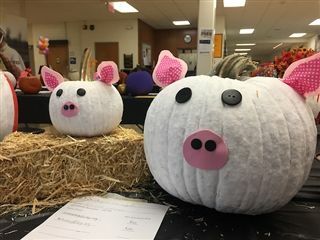 Every year, Dumbach Scholars and Honors Studio Art students collaborate to design pumpkins for auction that are displayed in Loyola’s Ignatian Lobby the week before Halloween. Bids start at $10 and rise in $2 increments. The best part? All proceeds from the auction benefit Loyola Academy Missions. 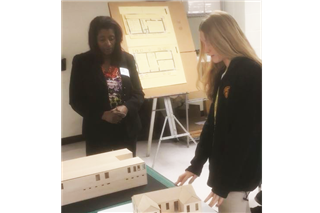 On Wednesday, October 17, American Institute of Architecture Students (AIAS) national Vice President Brigid Callahan paid a visit to Loyola Academy. 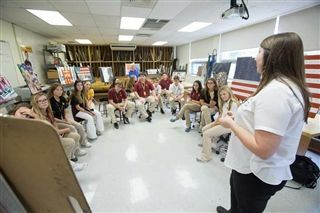 The purpose of the visit was to meet Principal Charlie Heintz and Student Activities Director Melissa Krein, as well as the officers of the Loyola Academy chapter of AIAS including senior Andrew Langrill, the co-president of the chapter, junior Patrick Voigt, information technology officer, and senior Elizabeth Balentine, the chapter’s creative director. Social justice educator Sara Wicht returns for a second round of professional development opportunities for Loyola faculty and staff this fall. Her training will focus on continuing to build our pedagogical toolboxes through techniques and strategies that focus on classroom culture, instruction, teacher leadership and family and community engagement. 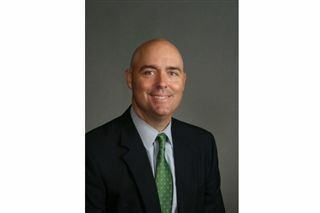 In 2018, Loyola named Mr. Christopher Penna as the school's first director of school culture. 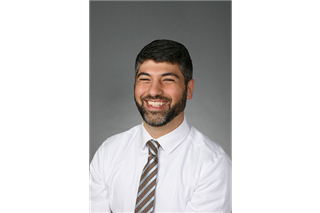 Mr. Penna will oversee and manage all diversity and inclusion programming and initiatives while supporting the vision and mission of Loyola Academy. It is the task of the director of school culture to cultivate responses to Christ's call to go to the margins and co-labor in the building of a more inclusive Loyola Academy community. Loyola's unique lineup of Ignatian Service Learning classes take the service experience into the classroom—enabling students to learn about social justice issues in academic courses across the curriculum, apply their new knowledge to real-life situations through community service and then engage in reflective exercises, discussions and projects to process the experience. Honors American Literature: Hidden Voices in American Literature is designed to examine American Literature through active participation in community-based organizations that allow for a deeper analysis of American society, both past and present, through the lens of "the other." In the spring, recent graduates Priscilla Kwateng '18, Venessa Agyemang '18, Andrea Coria '18 and Lillian Ingabire '18 along with current seniors Kaylle Flores '19, Joyce Matanguihan '19, Oluwadamilola Moibi '19, Kabelo Muhammad '19, Claudia Pensamiento '19, Ashley B. Sarpong '19 and Jessica Vela '19 crafted a presentation on race relations at Loyola born from their personal experiences. 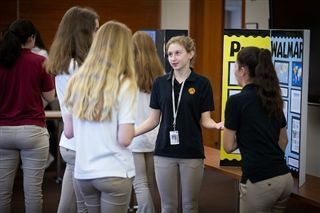 They presented their work to the School Leadership Council and faculty members in each of Loyola Academy's academic departments. "It was really powerful," says Director of School Culture Chris Penna. "Every faculty member needed to hear it, and the response was overwhelmingly positive." This summer, five Ramblers and one recent graduate joined their peers from Christ the King Jesuit College Prep, Cristo Rey Jesuit High School and St. Ignatius College Prep to serve middle school students with educational and economic needs through the Chicago Jesuit Academy's (CJA) Province Scholars Program. This highly selective program provides high school students with the opportunity to gain firsthand experience serving middle school students in need of academic support and to contemplate future career paths in education. 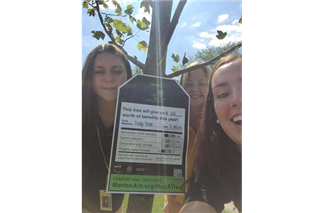 Environmental science students started the year learning about the value of trees! Ramblers studied the newly planted trees that line our new parking lot on Laramie Avenue. Students identified the tree species and then calculated the trees' ability to absorb storm water, reduce air condition usage, absorb CO2 and increase property value. 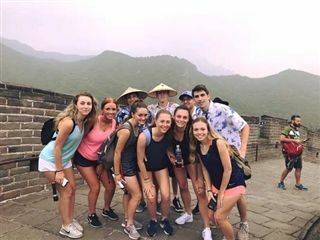 This summer, 33 Ramblers spent two weeks immersed in the culture and beauty of the People’s Republic of China, where they had the unique opportunity to explore the sights and sounds of vibrant cities such as Beijing, Xi’an, Guilin and Shanghai along with the magnificent landscapes of Longsheng and Yangshuo counties. It was an authentic cultural experience—the first for many Ramblers—to experience some of China’s noted monuments, museums, art galleries, performances, cuisine and more. Last year, the Social Studies Department introduced the AP Human Geography course to its curriculum to offer students the opportunity to study the distribution, processes and effects of human population on the planet. 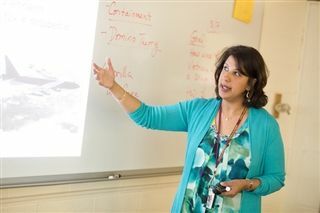 During its inaugural year, 189 students took the course, which culminated with an AP Exam in May. Notably, 92 percent of students passed the exam with a score of 3, 4 or 5. The American Association of Teachers of French (AATF) has recognized recent graduates Louisa Edwards ’18, Brendan Schafer ’18 and Jacqueline Topping ’18 for achievement in their studies of French at Loyola Academy. 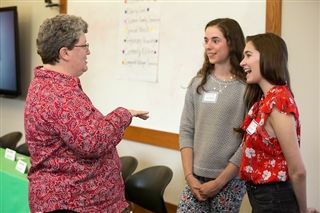 All three were students of French Teacher Ms. Catherine Kendrigan, who was the 2018 recipient of the Dorothy Ludwig Excellence in Teaching Award for the secondary level. On Friday, June 1, Loyola’s Ignatian Service Learning and Arrupe Service Programs hosted a Community Partner Luncheon for students and representatives from the community organizations they partnered with this year. The luncheon brought together nearly 30 community partners, 15 Service Learning teachers and Arrupe faculty, and Loyola student leaders to review the year of service and plan for the next year. On Tuesday, May 29, and Wednesday, May 30, AP Human Geography Students presented their fourth quarter projects at Loyola’s inaugural Human Geography Fair. 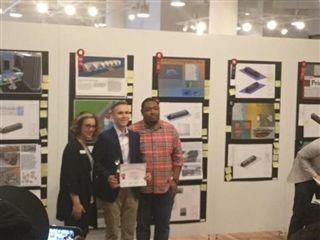 Congratulations to the Loyola Academy Architecture Team which participated in the Newhouse Architecture competition held at Robert Morris University Gallery in downtown Chicago on Saturday, May 19. 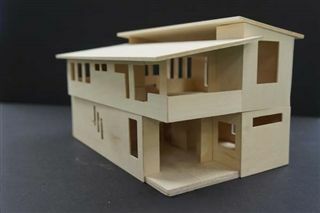 The Newhouse Architecture Competition is sponsored by the Chicago Architecture Foundation (CAF) and is open to all Chicago area high schools. The competition is now in its 35th year, and was created as part of the vision of the late State Senator Richard Newhouse. Five members of Loyola’s Class of 2018 have been awarded 2018 National Merit Scholarships by the National Merit Scholarship Corporation (NMSC). The NMSC honors individual students who show exceptional academic ability and potential for success in rigorous college studies. 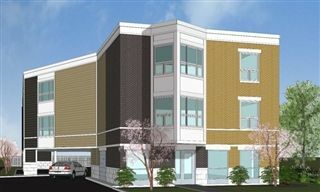 On Tuesday, April 10, the Village Board of Wilmette unanimously voted to approve Cleland Place, a new 16-unit affordable housing development at 1925 Wilmette Avenue, the site of the old American Legion. Loyola Academy Justice Seminar seniors Emily Molins and Merrill O’Shaughnessy, along with classmates Kaela Finnegan ’18, Grace Harlan ’18 and Lilly Wehman ’18, were instrumental in the approval process, presenting research and personal testimony that helped inform the Board’s decision—the first significant victory for affordable housing efforts in Wilmette. 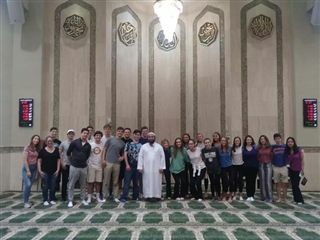 On Saturday, May 5, Loyola Academy World Religion students continued their exploration of other faith practices and places of worship with a visit to the Muslim Community Center’s mosque in Morton Grove. On Friday, April 20, Sara Maslanka, artistic director at the Chicago Danztheatre Ensemble, spoke to students in Dance Studio 1, Dance Studio 2 and Honors Dance classes. 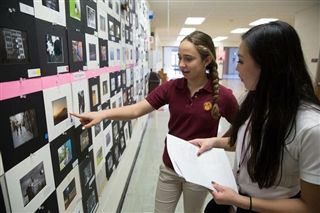 In April, Loyola Academy hosted the eighth annual Jesuit National 4x5, a hybrid art show and competition that requires all entries to be just four inches by five inches. The competition is open to all Jesuit high schools and awards prizes in categories such as color drawing, black and white drawing, printmaking, digital design, mixed media, sculpture and more. Congratulations to Thomas Ahern '19, Grace Balestrery '18, Katherine Buchanan '20, Ryan Lynch '18 and Taylor Zipparro '19 who were selected from 700 entries from Chicago area high schools for the 2018 Juried Student Perspectives Show! On Tuesday, March 20, Loyola Academy political science students participated in the Illinois primary elections. Over 100 students served as election judges across Chicago, in suburban Cook County and Lake County. Other Ramblers volunteered to work for various campaigns. In many ways, students had the opportunity to experience first hand what it is like to be involved in the electoral process. 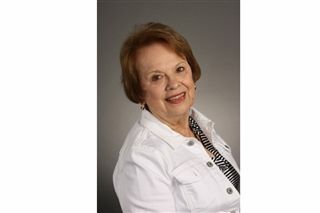 The American Association of Teachers of French (AATF) has named Cathy Kendrigan the recipient of the 2018 Dorothy Ludwig Excellence in Teaching Award for the secondary level! 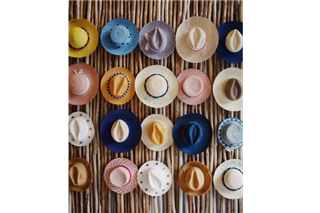 The award "recognizes teachers who have demonstrated excellence and commitment in the teaching of the French language and French and Francophone cultures and literatures." Matthew Brun ’18 has been selected as a candidate in the United States Presidential Scholars Program sponsored by the White House Commission on Presidential Scholars and the U.S. Department of Education. Brun joins the ranks of 152 seniors from the state of Illinois to earn this honor. Loyola Academy’s AP Studio Art Show is an annual celebration of student work in the visual arts held at the Evanston Art Center (EAC). Many of the students exhibiting work in the show have been in art courses at Loyola for two to four years and come from the following disciplines: studio (drawing, painting), graphics, photography and architecture. 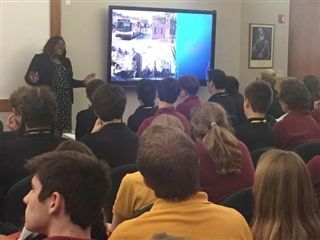 Chicago-based architect with expertise in co-housing and mother of Rambler Nikko Landon ’19, Norvetta Landon visited the Honors Architecture 2 class this past month. 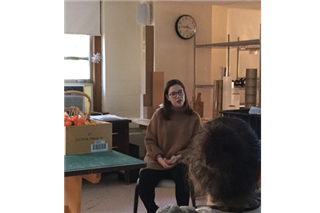 Ms. Landon led a critique of the advanced architecture students’ final Co-Housing and Housing for the Homeless Scale Models. 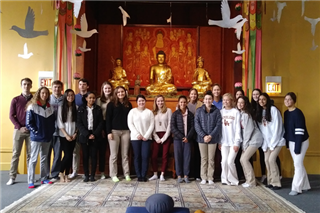 On Sunday, February 25, twenty five Loyola Academy World Religion students visited the Buddhist Temple of Chicago in the Uptown neighborhood. The featured speaker at the temple’s service was Susan M. Pudelek, coordinator of interreligious relations in the Archdiocese of Chicago’s Office for Ecumenical and Interreligious Affairs. 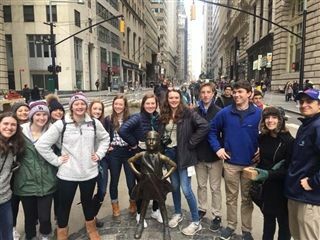 Loyola Academy’s Dumbach Scholars recently returned from New York City, where they had the unique opportunity to explore some of the city’s noted museums, art galleries, performances and more. 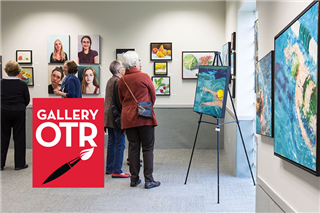 The artwork of ten Ramblers has been selected to be exhibited through the Wilmette Arts Guild at North Shore Community Bank, 1145 Wilmette Avenue, in Wilmette from February 1 to February 27. 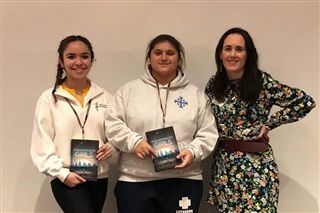 Jessie Foley (nee Morrison), author of The Carnival at Bray (2014) and Neighborhood Girls (2017) and Loyola Academy English teacher from 2005–2012, spoke to seniors in Creative Writing classes on Friday, February 2. All eight of Loyola Academy’s National Merit semifinalists, named by the National Merit Scholarship Corporation (NMSC) in September, have advanced to finalist standing. The NMSC honors individual students who show exceptional academic ability and potential for success in rigorous college studies. In January, World Religion students participated in an international video conference on the topic of “Global Citizenship,” an exercise intended to help students use structured dialogue to navigate differences in a peaceful way. 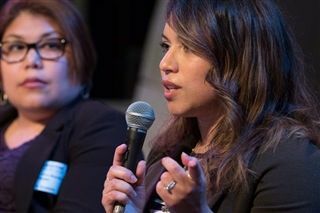 Facilitated by Generation Global, an initiative of the Tony Blair Institute for Global Change in London, the conference brought Loyola students face to face with students from Tecnológico de Monterrey–Campus Central de Veracruz in Mexico. Gallery Over the Rainbow (OTR) in Evanston invited Loyola Academy teachers to participate in a special teacher and student art show in February. The opening reception will take place on Thursday, February 8, from 5:00 p.m. to 7:00 p.m. OTR is an organization that works to find independent and affordable housing for people with physical disabilities. A portion of each piece of artwork sold is donated to OTR’s Resident Service Program to increase the quality of life and independence of their residents. 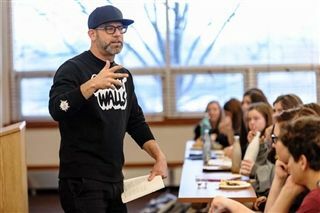 On Wednesday, January 10, Chicago artist, poet, educator and activist Kevin Coval visited Loyola Academy art classes and offered students a unique performance-based presentation and workshop. 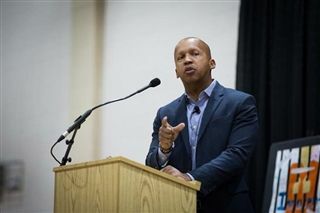 On Thursday, November 30, Loyola Academy welcomed Mr. Bryan Stevenson, a noted lawyer, social activist and the New York Times bestselling author of Loyola’s first-ever all-school read Just Mercy: A Story of Justice and Redemption. Stevenson spoke to students during an all-school assembly in the afternoon and to parents, alumni and community members in the evening. Congratulations to senior Sabrina Sanfratello and junior Natalie Regan who were chosen to exhibit photographs at Drexel University’s High School Photography Exhibition! 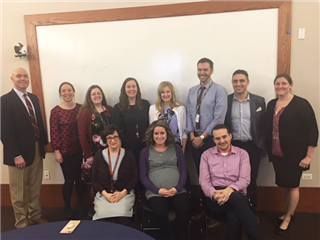 In November, Loyola Academy’s Counseling Department hosted a series of Career Days for senior students with dozens of guest speakers representing a variety of professions from law, finance, technology, real estate, business, medicine and more. Each speaker provided diverse perspective and a valuable learning opportunity for seniors as they begin to consider their future paths. 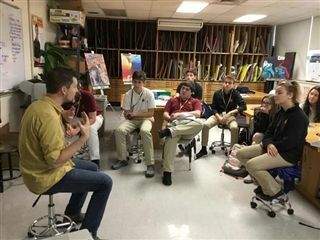 Chicago-based artist Matt Bodett, who uses art to start conversations about mental illness and healing, spoke to Loyola Academy students in Studio Art I and Studio Art II: Art and Advocacy, an Ignatian Service Learning course. 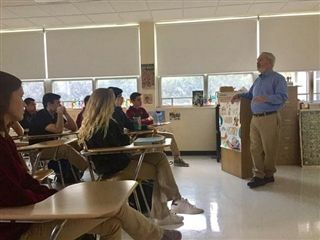 On Friday, November 10, guest speaker Mr. Terrence Hake visited History of Chicago classes to speak about his involvement in Operation Greylord, the famed 1980s investigation that exposed the corruption of the Cook County Court system. The investigation would become the biggest public corruption case in Illinois to date and remains an important historical and ethical lesson for students. On Tuesday, November 7, the Honorable Jeffrey S. Sutton visited with AP Political Science students and offered Ramblers a rare opportunity for a candid discussion and insight from an influential member of government. This fall, two engineers from Northrop Grumman Corporation in Rolling Meadows visited computer science classes to discuss technology and big data with Loyola’s budding computer scientists in the school’s brand new STEM lab. On Friday, October 6, political science classes welcomed guest speaker Ms. Ariel Johnson, leader in education policy and current director of government affairs at the Illinois Network of Charter Schools (INCS), an Illinois education reform nonprofit organization. 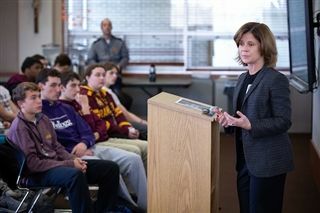 Johnson, a graduate of St. Ignatius College Prep, John Carroll University and Loyola University School of Law, spoke to students about blending the values of Jesuit education with her work in Springfield to ensure better access to quality education for all Illinois students. 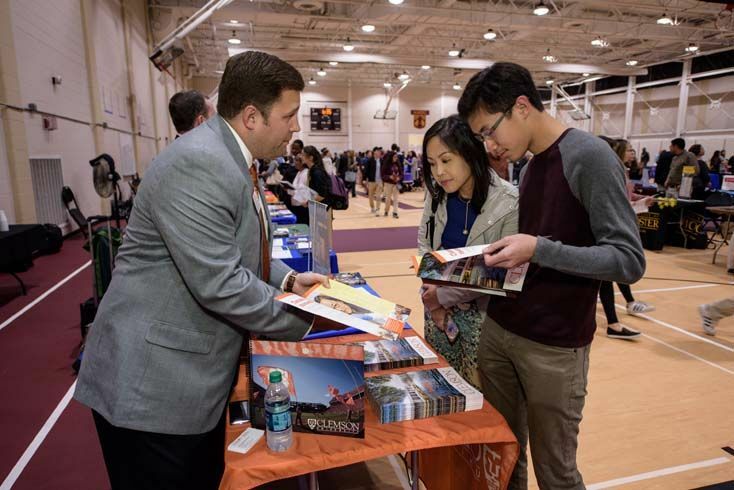 On Thursday, October 12, Loyola Academy's College Counseling Department hosted its annual College Fair. With over 250 colleges and universities in attendance, it is one of the largest fairs in the state of Illinois. 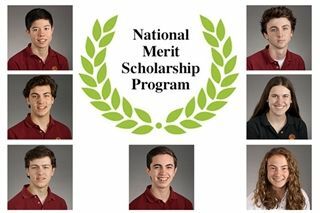 In September, the National Merit Scholarship Corporation named eight Loyola Academy students National Merit semifinalists. The National Merit Scholarship Program honors individual students who show exceptional academic ability and potential for success in rigorous college studies. In August, Loyola Academy fine and performing arts students welcomed John Musker ’71, accomplished writer, director and producer whose filmography includes several titans of the Disney catalog: The Great Mouse Detective (1986), The Little Mermaid (1989), Aladdin (1992), Hercules (1997), The Princess and the Frog (2009) and Moana (2016). The Illinois Civic Mission Coalition (ICMC) has recognized Loyola Academy as a 2017 Illinois Democracy School, an honor that will extend through the 2018–19 school year. 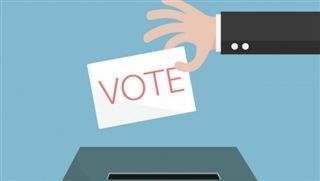 Democracy Schools are recognized for providing students with authentic experiences in the rights, responsibilities and tensions inherent in living in a constitutional democracy. Through these experiences, participating schools strive to equip students with the knowledge, skills and dispositions necessary for informed, effective engagement in our democracy. 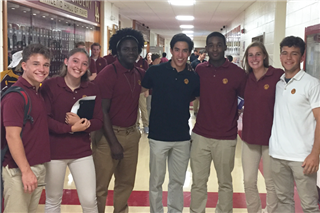 Loyola Academy welcomed the Class of 2021 with a new freshman orientation experience, including three days of programming and events for incoming Ramblers and their parents. Orientation is a significant occasion at Loyola as it marks the beginning of a four-year journey that will create an unshakable foundation and a world of possibility for each Rambler. 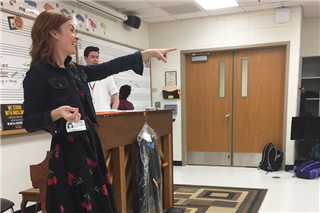 Singer and songwriter Jess Godwin ’01 returned to Loyola Academy this spring to work with choir students on a songwriting unit. The unit was designed to give students the opportunity to explore songwriting, Apple’s GarageBand software and basic chord progressions. Together, Godwin and Director of Choirs Mr. Matthew Begale worked to have the students explore their own interests and identity and produce their own piece. 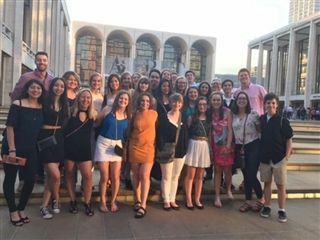 To kickoff the start of summer, twenty six Loyola Academy choir students traveled to New York where they spent a fun-filled weekend experiencing the sights and sounds of the city and bonding as a choir family. 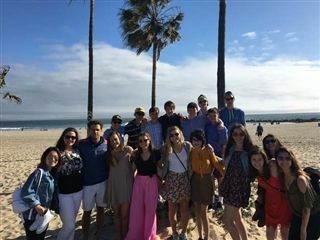 It was the trip of a lifetime for 19 Loyola Academy fine arts students, who spent a star-studded week in Los Angeles with some of Loyola’s most influential alumni in the entertainment industry. 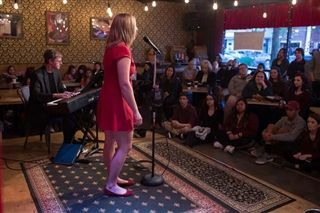 Loyola Academy students performed their first annual Cabaret Night on May 5. Cabaret is well known in the theater and arts community as an intimate performance that breaks through the “fourth wall” and enables actors to acknowledge and connect with the audience. 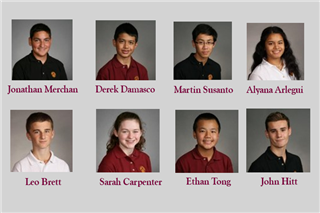 Seven Loyola Academy freshmen took the state Latin exam in late April and earned outstanding scores. 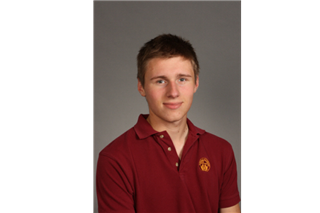 Graduating senior Charles E. Power has been named a National AP Scholar, a prestigious distinction granted to students in the U.S. who receive an average score of at least four on all AP exams taken, and scores of four or higher on eight or more of these exams. This spring, Loyola Academy honored eleven faculty members who have earned tenure status. The achievement of tenure is a milestone in an individual's career, and Loyola is proud to recognize members of our community who have embraced the desire to be women and men for others. Students in Mrs. Jennifer Snyder’s Environmental Science Service Learning class were part of a University of Nebraska study of the Mississippi watershed. Over the course of five weeks, the class tested the North Branch of the Chicago River five times for Atrazine, Nitrates, Nitrites and Phosphates. Loyola Academy’s Architecture Program is proud to announce a number of student achievements as part of the 2017 Newhouse Competition. Senior Jessica Gordon received an honorable mention in the Catholic Campaign for Human Development 2017 Multimedia Youth Art Contest. The Latin I Certamen Team took first place in the Illinois State Certamen League Novice Division, defeating Hinsdale South High School in the finals in April. Novice team members include freshmen Alyanna Arlegui, Leo Brett, Derek Damasco, Ryan Dombrowski and Jonathan Merchan. 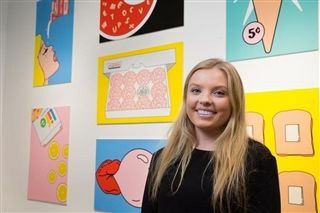 Seven Loyola Academy students have been selected from 800 entries from Chicago area high school students to display their work at the sixth annual Juried Student Perspectives Show. In April, approximately 70 freshman theology students participated in a Seder meal honoring the Jewish Passover as part of the curriculum for Sacred Stories I: The Old Testament. Taken in the second semester of freshman year, this course exposes students to the story and themes of salvation history by providing them with a strong foundation in Hebrew Scriptures. 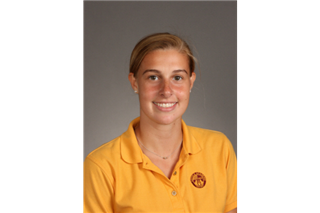 Two Loyola Academy students in the Christology/World Religions class of Ms. Mary LaMont are finalists in the 2017 Leo and Antonia Gershanov Memorial Student Arts and Writing Contest sponsored by the Illinois Holocaust Museum and Education Center in Skokie. 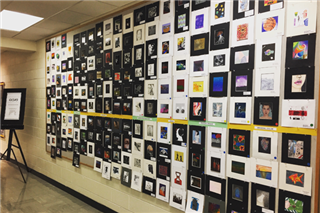 In April, Loyola Academy hosted the seventh annual Jesuit National 4x5, a hybrid art show and competition that requires all entries to be just four inches by five inches. The competition is open to all Jesuit high schools and awards prizes in categories such as color drawing, black and white drawing, printmaking, digital design, mixed media, sculpture and more. In March, Loyola’s Ignatian Service Learning Program welcomed a panel of alumni speakers to discuss immigration—a topic that has recently made headlines and sparked debate both domestically and abroad. Students from Justice Seminar, Spanish 4 Service Learning, Sociology Service Learning and Ethics classes were in attendance. 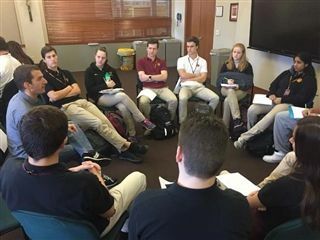 In March, approximately 80 freshman formation students spent time in class analyzing their understanding of and perspectives on inequality, marginalization, awareness and advocacy in the Loyola community. The result? A vibrant mural that spans two walls and serves as a visual reminder of the project’s theme—building an inclusive school community—and of students’ commitment to each other. 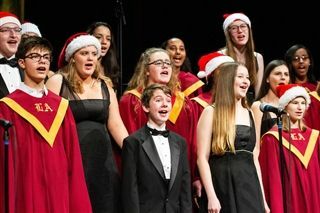 In March, Loyola Academy voice students hosted two Choir Exchange Programs for visitors from the Blake School in Minnesota and Edgewater High School in Orlando, Florida. 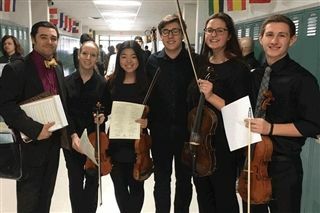 Loyola Academy had 89 performances, both music ensembles and soloists, at the 2017 IHSA Solo and Ensemble Festival on March 4. Musicians were featured from Loyola's orchestra, guitar, band and choir. Performers were rated on their performance and skills by teams of judges from across Illinois. 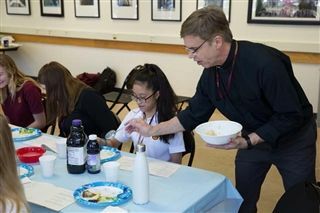 Loyola Academy students celebrated "Pi Day" on March 14 with a Pi Fair and related activities during lunch periods. Congratulations to the Latin I Novice Certamen Team, which currently holds first place in the region and will compete in the state finals in April. 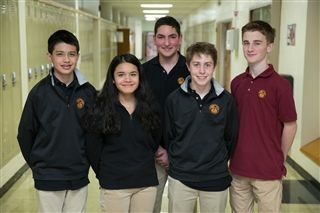 Novice team members include freshmen Alyanna Arlegui, Leo Brett, Derek Damasco, Ryan Dombrowski and Jonathan Merchan. 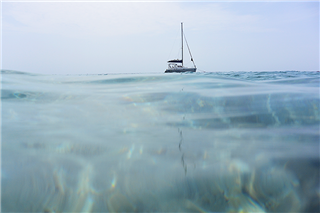 In the Glenview Art League competition held Saturday, February 25, two photography students took home first place prizes. 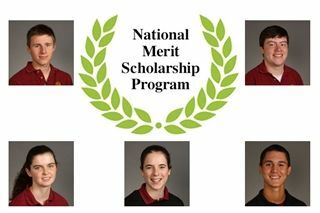 In February, the National Merit Scholarship Corporation named five of Loyola Academy’s six National Merit semifinalists as finalists. 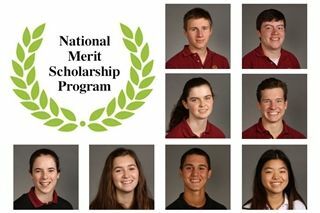 The National Merit Scholarship Program honors individual students who show exceptional academic ability and potential for success in rigorous college studies. Congratulations to Loyola Academy seniors Lauren Cox and Eleanor Mollman, winners at the regional Scholastic Arts and Writing Awards in Iowa City, Iowa. 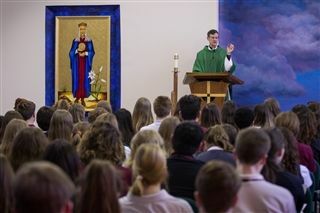 On January 24, Loyola Academy French language students participated in a special Mass celebrated entirely in French. Rev. Brian G. Paulson, SJ, provincial of the Midwest Jesuits Chicago-Detroit Province and Loyola Academy graduate from the Class of 1977, presided. 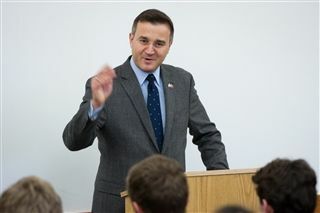 On January 25, Turkish Consul General Mr. Umut Acar delivered a guest presentation to Honors and AP Political Science students at Loyola Academy. 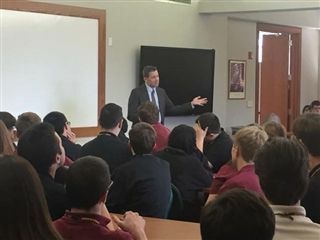 Consul General Acar spoke with students about topics ranging from the war on terror, the refugee crisis, relations with the U.S. and religious and ethnic diversity and conflict in Turkey. 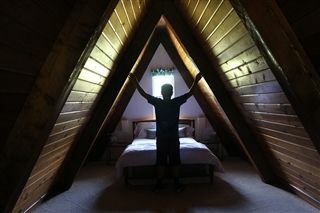 Lillian Tomasiello '18 was chosen to exhibit her photograph "Triangle" at Drexel University Photography High School exhibition. 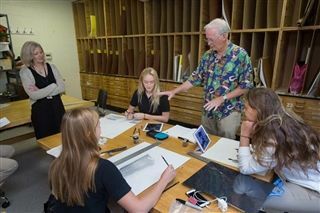 Loyola Academy's chapter of the American Institute of Architecture Students (AIAS) was featured as the high school highlight in the winter issue of Crit Magazine, the national organization's student journal. Congratulations to Brendan Knapp '19, Elias Berhane '19, Mark Kosmerl '19 and Steve Lymperis '19 for representing Loyola Academy in the North Suburban Regional Bridge Contest on Tuesday, January 24. 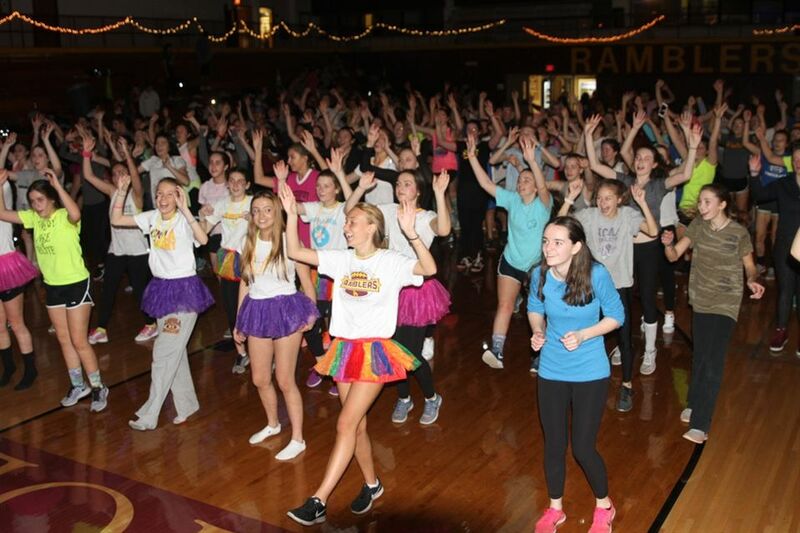 On January 20, over 300 students gathered in the east gym for Loyola Academy's first ever all-night dance marathon! Through bake sales, donations and pledges, 44 teams of students raised over $10,000 for Muscular Dystrophy Association Summer Camp. Ana DiVito '17 won the grand prize in the Catholic Campaign for Human Development's 2016 Multimedia Arts Contest, hosted by the United States Conference of Catholic Bishops. 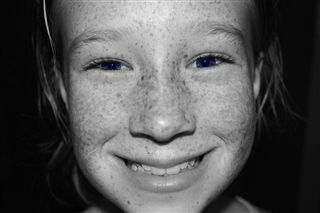 Her winning piece, "Neighbors," is composed of several images of faces with diverse expressions. 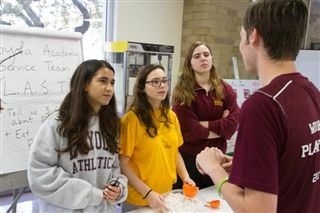 On Tuesday, January 17, Loyola Academy physics students put their classroom knowledge to the test in the annual bridge building competition. Visual Arts Department Chair Jane Carney was recently accepted into the Bridgeport Art Center's 5th annual juried art competition with her piece entitled "An Artist's view of the World." In conjunction with their unit on the Sacrament of Confirmation, freshman theology students in the Sacramental Journeys class of Rev. James Ackerman, SJ, delivered handmade origami doves to deserving members of the Loyola community before Thanksgiving break. Students wrote messages of affirmation on each dove and shared them as symbols of gratitude, peace and joy. 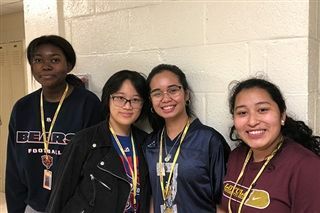 Last spring, Mrs. Elizabeth Van Lieshout asked her AP Statistics students to submit their year-end projects to the American Statistical Association’s (ASA) national project competition. The competition challenges students to design and conduct their own creative studies and attracts a variety of diverse submissions each year. Emma Kyle ’17 and Emily Molins ’18 won the competition in the Grade 10–12 category with a paper entitled “It’s Their Fault,” a study that explores the association between underage drinking and having an older sibling. As a Jesuit, Catholic school, Loyola Academy forms women and men for others in service and leadership for the world in imitation of Jesus Christ. Loyola is committed to the full development of the whole person. Cura personalis, a Latin phrase meaning “care for the person,” is at the core of our Jesuit mission. Our curriculum thoughtfully and intentionally integrates the academic, spiritual, emotional and physical development of our students with the experience of service to others. Loyola students are not required to participate in school sponsored service activities; however, approximately 90% of the Class of 2015 participated in voluntary service work.